Wed., May 30, 2018, 8:24 a.m.
Carla Ruffin, 57, spent essentially all of her working life wearing her hair straight, the kind of decision black women often make in order to fit in in the mostly white corporate world. She’s worked at Starbucks for 14 years and had been considering starting to wear her hair natural, but it wasn’t until Tuesday that she and her colleagues discussed the idea of doing so at work. “It represents freedom in embracing your ethnicity,” she said. Natural hair was just one of a broad range topics that came up in the racial bias training session attended by Ruffin, a regional director who oversees more than 100 Starbucks stores in New York City. The interactive training provided prompts for small groups of employees to discuss their own experience of race. How and if Starbucks changes day-to-day is the big open question for the company, which is trying to address one of the most bedeviling challenges in U.S. society. With the training-which Starbucks said will be the first of many for employees-the coffee giant is trying to tackle nothing less than the casual, everyday prejudices that many of its staff and customers experience. Whether it’s successful depends on a long list of decisions the company and its leadership have yet to make, including how anti-bias training will be integrated into new employee orientation and broader questions of how to evaluate if it’s even working. The issues facing Starbucks have changed since the company’s founding as it has expanded across the U.S. with thousands of stores, forcing it to confront thorny societal problems like the racial divide, opioid abuse and homelessness, chairman Howard Schultz said. “We are serving and interacting with many, many different types of customers and many different types of people who systemically are dealing with things we didn’t deal with when we were a much younger company,” he said. In a matter of days, Starbucks announced the plans for the afternoon store closures to train the employees that work at its company-owned cafes. While it was anti-bias training broadly, much of the content revolved around racism, specifically anti-black racism. Starbucks says 66 percent of its U.S. staff are women and 43 percent are minorities. While many large corporations work with a wide range of customers and employees that expose them to broad societal problems like racial inequity, Starbucks is unique in its response. It has long tried to build a feel-good brand to attract and retain employees in an industry that struggles with high turnover. Heather McGhee, president of Demos who was an unpaid adviser to Starbucks for the program, said Schultz has prided himself on putting Starbucks on what he saw as the right side of social issues. “For them to suddenly to be on the wrong of the problem was very much a violation of their culture and standards,” she said. In the days following the Philadelphia incident, the company’s reputation as a place people said they would feel proud to work at fell to the lowest level in at least 10 years, according to YouGov BrandIndex. The sheer scale of the company’s operations made the event a massive undertaking. The company said it consulted more than 30 racial justice experts, for example, and Starbucks underwrote a short film about the history and continuation of racism in public places, like the sit-in protests during the Civil Rights era. And Starbucks had to logistically make it happen, from rescheduling shifts to making sure kiosks and smaller locations had space to meet. The company deployed thousands of iPads to its stores for the training session, and the tablets will stay in the field so each month they can be used for a new training topic, though the future sessions won’t close the stores. McGhee said she’s told the company it should perform “spot check audits” on whether the training is helping-for example, sending a black man into a store to see how he’s treated. She also said Starbucks needs to consider more “deeper training” for managers so the message lasts given the high turnover in the industry. Johnson said the training will be an important step for future new hires, too. Schultz added that he thinks the training “will be hard to measure in the traditional sense,” so the company’s looking at more qualitative approach. “We have to continue to imprint and weigh in with our people about the critical importance of this and make sure they realize this isn’t an adjacent to their core job, but this is their job,” he said. How much Starbucks devotes to these efforts could come back to the issue of budget. Schultz said some shareholders questioned the cost of the training, which Bloomberg estimated could total around $16.7 million in lost revenue, but he likened the spending to providing health care or tuition help for employees. 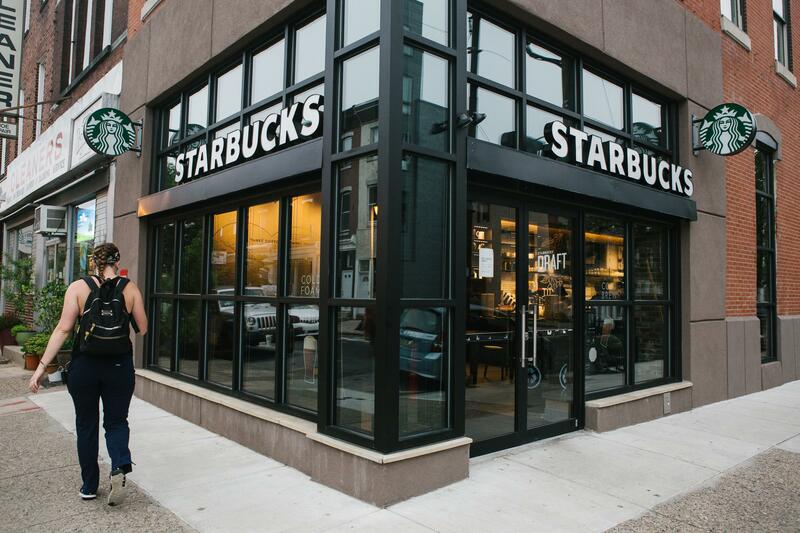 “We don’t view it as an expense-we view it as an investment in our people and the long-term culture and values of Starbucks,” Schultz told reporters in New York. Starbucks had $22.4 billion in revenue last year. Johnson said executives at other companies have asked him about the training, which he said he sees as validation for Starbucks’s efforts. He said the company will release the training material online on May 30, and other companies can choose to use them. Published: May 30, 2018, 8:24 a.m.